"Merz, means to create connections, preferably between everything in this world"
Directly affected by the depressed state of Germany following World War I, and the modernist ethos of the Dada movement, Kurt Schwitters began to collect garbage from the streets and incorporate it directly into his art work. The resulting collages were characterized by their especially harmonious, sentimental arrangements and their incorporation of printed media. He actively produced artistic journals, illustrated works, and advertisements, as well as founding his own Merz journal. He wrote poems and musical works that played with letters, lacing them together in unusual combinations, as he'd done in the collages, in the hope of encouraging his audience to find their own meanings. His multiple avant-garde efforts culminated in his large merzbau creations. These works, collaborations with other avant-garde artists, would start with one object to which others were added, causing the whole piece to change and evolve over time, growing to great proportions that forced the viewer to actually experience, rather than simply view, the art. Schwitters used actual trash, such as broken items and scraps of paper, in his collages. Although the use of found objects aligns him with other branches of Dada, his bold dependence on society's throw-aways provoked additional associations on the part of the viewer and differentiated his expression. Ultimately, he investigated links between seemingly unconnected objects and ideas. Instead of honoring the age-old tradition of giving precedent to text and containing visual imagery to set areas by essentially dividing the page into quadrants, Schwitters' print work exhibits a lack of order: his advertisements, artwork, and text are placed in unexpected areas. As a result, the space left between draws equal attention to the text and images themselves, challenging the organizational hierarchy by which printed documents were formerly governed. Schwitters' work was critical in the early development of experiential art. His Merzbau, for example, created through collaboration with other artists and evolving with the constant addition of elements, were a kind of walk-in collage necessitating the viewer to assume an active role in the work's interpretation and significance. In a very different format, but with similarly exploratory goals, Schwitters created a poem he called Ursonate, a musical composition composed of letters strung together into sounds, not words, which compelled the audience to create her own connections and draw her own significance. Schwitters' part in modernism is emphasized in this auditory performance work as well as the visual oeuvre, both encouraging the audience to find a way to draw their own conclusions; to enable them to find a better world beyond the depressed one in which they lived between the wars. 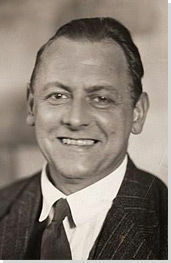 Kurt Schwitters was born on June 20, 1887 in Hanover, Germany. He was the only child in a middle-class family. As a boy, he travelled with his father to the 1900 World's Fair in Paris. When he was 14, he had his first epileptic fit, signifying the start of a recurring condition that the artist felt continually impacted how he related to the world. This work demonstrates a significant shift in Schwitters' early artistic practice from primarily conservative figurative painting to abstract collage. After World War I, Schwitters began to collect broken and discarded materials he found on the streets and arrange them into works of art. Born from the rubble left by the war, these works emphasize the fact that art can be made from destruction; that urban detritus could be made into something beautiful. In Revolving, found items are organized to form lines and shapes to which he adds bits of yellow and blue paint for shading. He creates a geometrically harmonious work by finding a careful balance between the physical roughness of the found materials and the smooth shapes they form. The concept that attaching small objects (not to mention - garbage) to the surface of the canvas could be considered art was radical. Yet Schwitters was convinced that the act of taking broken fragments and unifying them into a whole demonstrated art's potential to remake and reimagine a fractured world. Additionally, it enabled him to reject conventional illusionism, the rendering of objects as they appear, something he associated with trickery and even hypocrisy in light of the crumbling socio-economic situation in Germany following World War I. In this work Schwitters continues his exploration of abstract collage, creating an intricate and complex work that incorporates many different materials and pieces. Merz Picture 32 A. The Cherry Picture is remarkable for its abstract design and its abandonment of any sense of illusionistic hierarchy. An interplay of colors (light and dark areas) as well as added materials such as wood and scraps of paper, suggest depth and there is a total abandonment of traditional one-point perspective. Especially notable is the use of elements featuring text, such as product labels and newspaper clippings. These examples of commercial culture provoked the viewer to consider the relationship between art and everyday life. The focal point of the image is a white flashcard featuring a printed cluster of cherries and the German and French words for "cherry" upon which he has scribbled an ungrammatical phrase "Ich liebe dir!" ("I love she!"). He essentially takes a standard educational tool and destroys its utility with blatantly incorrect language. Like other Dada artists, Schwitters manipulated words and images in order to highlight the irrationality and arbitrariness of conventional systems, in this case, language. Merz 11 offers an example of Schwitters work within the print media, groundbreaking both contextually and stylistically. The content of the Merz Magazine, launched by Schwitters in 1923, was varied and eclectic, featuring a range of artistic forms, including poetry, prose, art and advertising, and representing a variety of avant-garde artistic movements including De Stijl, Constructivism, and Dada. In this way the Merz journal united different avant-garde networks while serving as a platform to promote Schwitters' own diverse work. Formally, the journal had a very different look. With its bold red and black lines, irregularly positioned negative space, simplified sans-serif type, and asymmetrical layout, the cover of Merz 11 resembles the striking geometric style of Constructivism practiced at the Bauhaus. Noted in other books and periodicals published at the time in both Europe and Russia, this aesthetic exemplifies the most innovative, daring and up-to-date graphic design trend. Unique to Schwitters' composition, however, is the unpredictable, irregular, and lively use of space on the pages. This would have been quite startling to the contemporary viewer. The dynamic arrangement of text and the space left between on the page highlights the artist's awareness of typography's creative possibilities and his desire to elevate the status of graphic design to art. This work, featuring mono-color painted rectangles laid out side by side in a way that emphasizes the flatness of the canvas, demonstrates Schwitters' grasp of a more abstract style in the late 1920s, one indicative of his growing interest in De Stijl. It is the irregular arrangement of these shapes and the lively and expressive brushwork used to describe them that distinguishes the work from de Stijl's strictly linear and expressionless compositions. The artist's formal evolution is additionally noted in the way the artist alters his found materials, painting over their surfaces in an effort to deemphasize their origins as elements from the outside world. To maintain some sense of a known reality, and perhaps even a sense of whimsy, he includes an easily recognizable object here: the enameled tin butterfly. There is indication that Schwitters originally intended to include other everyday objects as well (a broken piece of china and two wooden balls that would project directly into the viewer's space) in order to ground the work in the viewer's world. Maraak encapsulates Schwitters' attempt to negotiate between the viewer's world and that presented within the constrictive space of the work itself, commenting on their overlapping yet ever distinct essence. Schwitters' most ambitious work is a (no longer existent) multimedia construction that he eventually named the Merzbau. This project, located in the artist's Hanover studio, began as a single "column" comprised of cardboard scraps, newspaper clippings, and varied detritus. Schwitters continued to add objects to this "column" which gradually changed and transformed Schwitters' entire living space into a series of grottoes and caves. While it is difficult to ascertain the exact appearance of what became this multi-room installation, as it was destroyed during the Second World War, written records and three photographs from 1933 document a sprawling accumulation of uncontained and varied material. Apparently other artists, including Hannah Hoch, Raoul Hausmann, and Sophie Taeuber-Arp, contributed their own artwork to the installation that, alongside Schwitters' additions, transformed the original structure into a complex and virtually inaccessible morass of material and matter. In effect, Schwitters' Merzbau was a continually changing, immersive environment meant to be experienced by the viewer (become visitor) as she walked through it; an all-encompassing work of art that defied categorization. 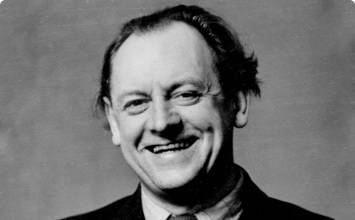 Schwitters' created another Merzbau in Norway immediately following the war and one last one in England shortly before he passed away. Despite the fact that no physical evidence of these projects remain, Schwitters' Merzbau continues to influence artists seeking to blur the boundaries between art and life as well as those who seek art whose definition lies in its experience. Fashioned from plaster and found objects, this diminutive assemblage is characteristic of the mixed media sculptures Schwitters produced toward the end of his life, while exiled in England. Despite its unassuming stature and materials, this sculpture embodies the enduring tenderness and whimsy unique to the artist's oeuvre. For example, he attaches a hat-shaped mass to the irregularly shaped conical mass forming the base in order to add the playful characteristic of the pointed clown's hat it comes to resemble. The manner in which the top section teeters above the bottom adds a sense of spontaneity overall, adding a note of levity to the whole ensemble. Schwitters accordingly uses limited found materials to boldly question the conventional notion of sculpture as monumental and lofty, manipulating these materials into an abstract concept that provokes with both light-heartedness and elegance.